Roast with garlic to make a delicious and easy meal. Baked garlic chicken makes an easy weeknight meal. By preparing the chicken and leaving it to marinate, you impart a terrific flavor that makes this dish a family favorite. 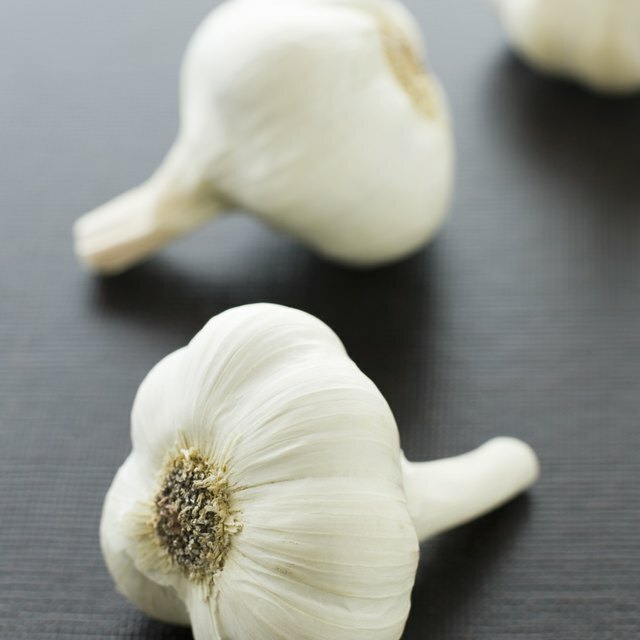 Once you've tried the recipe, vary the ingredients to find the perfect combination of garlic and cheese to match your family's tastes. 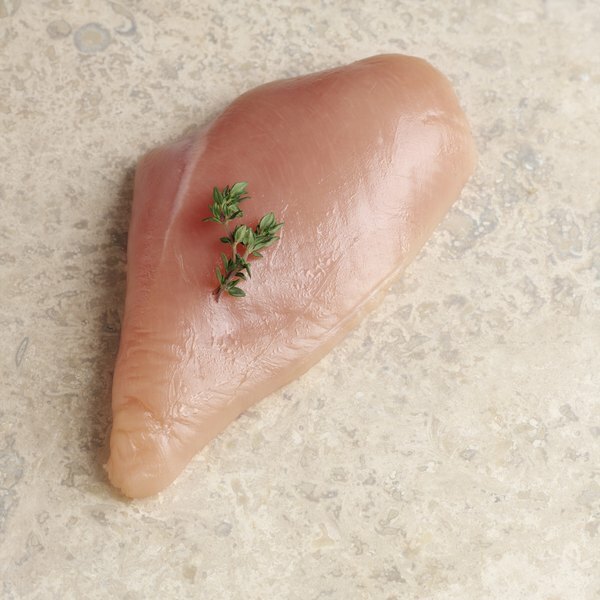 Crush the garlic and split the chicken breasts in half, if necessary, so that you have four separate chicken breasts. Grate the parmesan cheese. Mix together the garlic and olive oil. Toss the chicken in the oil and garlic mixture and refrigerate for up to 24 hours to marinate. If you don't have time to marinate, heat the garlic and olive oil in a small skillet to infuse the oil with the garlic flavor. Toss the chicken in the mixture once the oil has cooled. Mix together the bread crumbs and Parmesan cheese in a separate dish. Dip the marinated chicken in the bread crumb mixture. Coat both sides of the chicken well. Place the chicken in a shallow baking dish. Bake for 30 minutes. The chicken is ready when a meat thermometer reads 165 degrees F.
How Much Shredded Chicken Per Person for Chicken Tacos?